Why Numbness After Rhinoplasty Operation Is Felt? 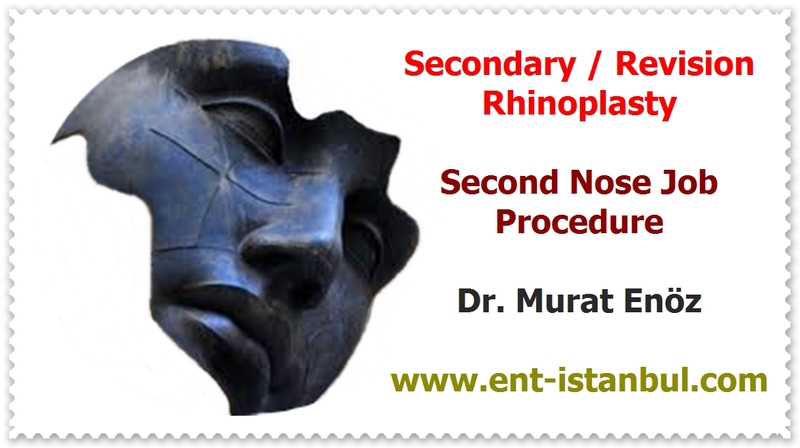 After the rhinoplasty operation and nose tip plasty operation, sensation of loss of feeling and numbness may be seen at the tip of the nose at the tip of the nose. Other treatments for the nose tip (nasal filling, nasal lift) can cause loss of sensation at the tip of the nose. Numbness is seen after surgery because of the more or less nerve damage due to the upward removal of the nasal skin. Why Numbness is Seen Especially on Nose Tip Region After Nose Aesthetic Surgeries? 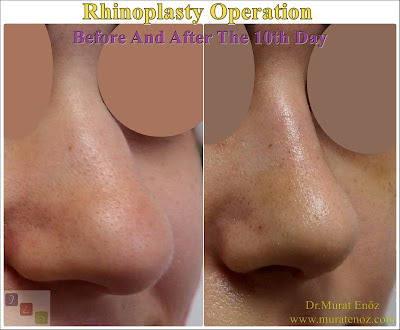 Rhinoplasty operation and nose tip plasty operation can be done with open technique and closed technique. In both techniques, the cartilage forming the nasal tip and the skin on the nose tip is partially or completely revealed. During this dissection, that is, when the nasal skin is separated from the underlying cartilage, the nerves that transmit the sense of touch are partially damaged. For this reason, it is normal to see temporary numbness and numbness at the tip of the nose after all the operations performed on the tip of the nose. How Long Should Numbness After Rhinoplasty Operation? In nose job surgery and nose tip plasty operations, the sensory nerves at the tip of the nose are partially injured. The recovery of the temporary loss of feeling in this case usually takes months, depending on the size of the process. Renewal of nerve cells is slower than other cells. For this reason, the feeling of numbness at the end of the nose after nose surgery is expected to recover within months. Above, the patient who underwent nasal aesthetic surgery with open technique is seen to be nasal on the 14th postoperative day. Usually Only Edema and Numbness At The Tip of The Nose Remain Postoperatively After 2nd Week! After nose job surgery, most of the complaints decrease after the first two weeks. After this period, there is usually no complaints except edema and a small loss of sensation at the tip of the nose. Only the nerve cells need healing in order to recover from loss of his / her sense; subcutaneous edema in the nasal region, improvement of bone marrow and bone tissues may be responsible. Depending on the size of the surgery, edema and loss of sensation at the tip of the nose can be seen in varying amounts in each patient. Usually The Numbness Is Totally And Edema 95% Are Gone After 6 Months Over! Edema occurring after nasal surgery is 80% after 2 months, 95% after 6 months and 100% after 1.5 years. The loss of sensation in the nose tip is usually nearly normal after 6 months. After the nose aesthetic, it is necessary to wait for this period because it can evaluate the aesthetic end result. Especially in patients with thick skin and after revision nasal aesthetics, these times and healing amounts may be different. Labels: Cause of numbness after rhinoplasty, How long should numbness after rhinoplasty operation?, Numbness after nose tip plasty, Numbness after rhinoplasty, Why numbness after rhinoplasty is seen? What Is The Aim of Nasal Aesthetic Surgery?